This HCAP Certificate could be yours! 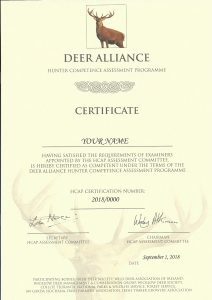 The first Deer Alliance Hunter Competence Assessment Programme (HCAP) MCQ of the 2019 Series will take place on Saturday 9th March 2019 at 3.30 p.m. in the Ionad Dara Community Centre, Goresbridge, Co. Kilkenny.  Applications are now open and can be made through the Online Applications section of the Deer Alliance website, www.deeralliance.ie. The MCQ (50-question Multiple Choice Question written examination) take 50 minutes to complete and will be followed in May by the Range Test stage of the process, which takes place on Saturday 4th May 2019 (commencing at 10.00 a.m. sharp) at the Midland Range, Blue Ball, Tullamore, Co. Offaly. HCAP cost remains fixed at €165.00. The MCQ will be supported by an optional Training Workshop, running from 10.00 a.m. to 3.00 p.m. on the same day as the MCQ (same venue). Bookings for the Workshop can be made by text message to 086 1927 845 or by email to deeralliance@gmail.com. Payment €50.00 is made on the day. The Deer Alliance Stalker Training Manual, on which the MCQ is based, is an optional purchase, cost €35.00 inc. p. & p. The Manual can be purchased through the Online Applications section of the website. Hunters are reminded of the Ministerial commitment “to consider the introduction of an appropriate training and certification process for first time applicants for deer hunting licences to commence from a date which will be determined in due course but certainly no later than 2020”. The Minister’s full statement on certification for licensed deer hunters can be found on the NPWS website (click here). Certification will be required for the grant of a Deer Hunting Licence (DHL) on private land as well as on Coillte forest property, on which it has been mandatory since 2005. The effect of the Ministerial commitment is that certification will become mandatory for all first-time DHL applicants this year (2019), and for all existing holders of the DHL from a date to be fixed. 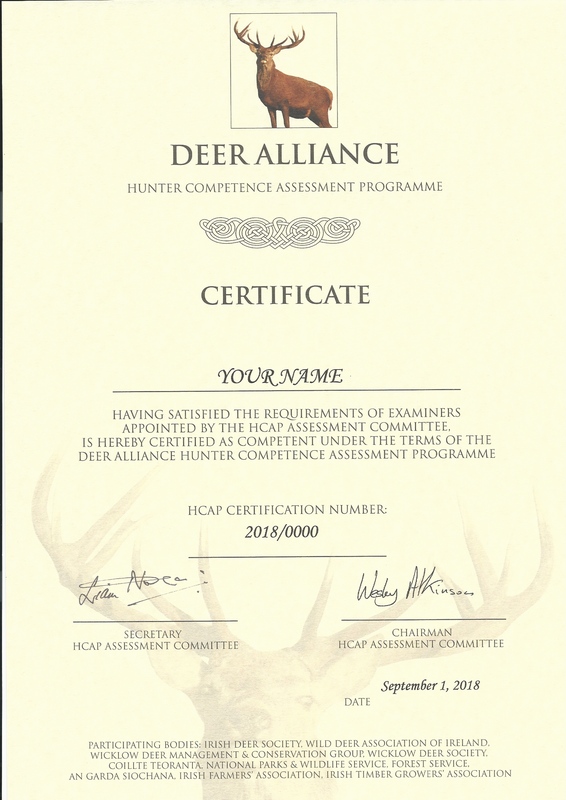 Approximately 50% of all existing licensed deer hunters (holders of the DHL) are HCAP-Certified. This entry was posted in Uncategorized on January 24, 2019 by Liam Nolan. ‘Psycho’ poachers, who have been uploading pictures of their illegal kills on social media sites are driving an increase in wildlife crime that gardaí say is now reaching epidemic proportions. The activities of bloodthirsty illegal hunters and poachers have grown to such an extent that more than 60 gardaí have signed up for special training in this area at the National Parks and Wildlife Service this week. Instances of gangs ‘posting with impunity’ on social media has led to a greater-than-ever prevalence of badger baiting, as well as deer, hare and bird poaching. Conservation ranger Noel Bulger told gardaí: ‘It is a huge problem. There are psycho poachers out there. Social media is driving it, with a “Look what I have done” mindset.’ Some of the ‘bloodcurdling’ footage shown to gardaí at the training day included scenes of badgers being ripped from their setts by dogs, hares being torn apart and gangs posing on social media with ‘trophies’ of the animals they have killed. Three inspectors have been appointed as wildlife liaison officers, while a further 62 gardaí were trained up on the appropriate legislation. The inspectors are based in Kildare, Wicklow and Westmeath, while the other gardaí are from the Eastern region. Mr Bulger told the Gardaí how there had been a problem with ‘lurching’ — hare hunting with dogs — in north Co Dublin before ¬Christmas and that people were ‘terrorised’. Mr Bulger also said that badgers are being removed from their setts and taken to a ‘clandestine arena’ where dogs are set on them. Supt Walker, who has been leading the way in the Gardaí in relation to wildlife crime, recalled how Gardaí were called after a six-man gang threatened a farmer and hunted on his land over three days last weekend. However, the farmer refused to make a statement on the matter out of fear. Wicklow and Kildare are ‘prime’ areas for the deer poaching, while Laois and Offaly are badly hit with gangs of hare poachers. In Kildare alone there are six live wildlife cases scheduled to be heard at different dates between now and March. These include two deer, two finch and two hare cases. Wexford is also currently being targeted by the hare poachers, who are being driven out of the Eastern Garda Region because of a clampdown. A source told Extra.ie: ‘The guys behind it were prosecuted in the Eastern Region and now they are going to softer terrain. ‘They’re moving away from our area and going elsewhere. If we had everyone singing from the one hymn sheet, it would be great”. ‘Four units from Kildare and Wicklow were out with the NPSW on Friday evening. We need to keep the pressure on,’ the source said.